Wear these studs from Gucci's Interlocking G collection for a distinguished look, wherever you are, whatever you're doing! Crafted in sterling silver, the earrings, showcasing the brand's iconic symbol, feature a prettily patterned outline. Post backings secure the piece to your ear comfortably. 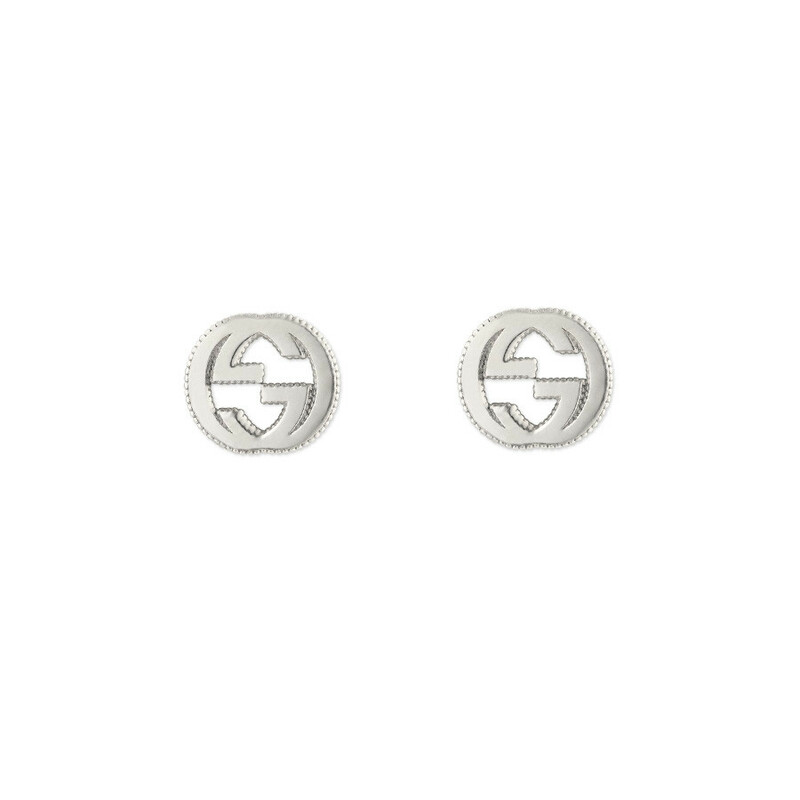 Let these Gucci stud earrings be a sign of good times for you!